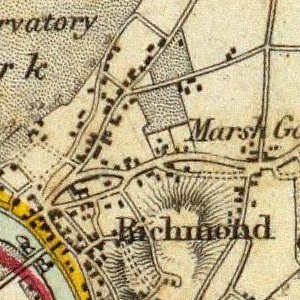 Though Bermondsey's name may derive from Beornmund's island (whoever the Anglo-Saxon Beornmund was, is another matter), but Bermondsey is likely to have been a higher, drier spot in an otherwise marshy area, rather than a real island. The area first appears in a letter from Pope Constantine (708-715), in which he grants privileges to a monastery at Vermundesei, then in the hands of the abbot of Medeshamstede, as Peterborough was known at the time. Bermondsey appears in Domesday Book. It was then held by King William, though a small part was in the hands of Robert, Count of Mortain, the king's half brother, and younger brother of Odo of Bayeux, then Earl of Kent. Bermondsey Abbey was founded as a Cluniac priory in 1082, and was dedicated to St Saviour. Monks from the abbey began the development of the area, cultivating the land and embanking the riverside. 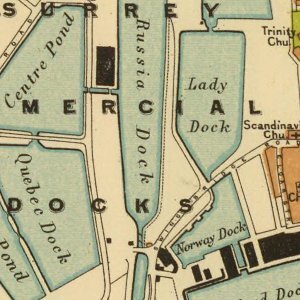 They turned an adjacent tidal inlet at the mouth of the River Neckinger into a dock, named St Saviour's Dock after their abbey. The Knights Templar also owned land here and gave their names to one of the most distinctive streets in London, Shad Thames (a corruption of 'St John at Thames'). 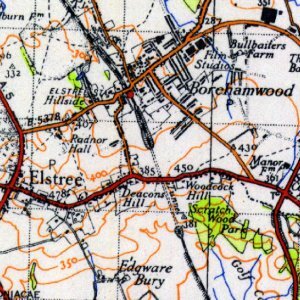 Other ecclesiastical properties stood nearby at Tooley (a corruption of 'St Olave's') Street, located in the Archbishop of Canterbury's manor of Southwark, where wealthy citizens and clerics had their houses, including the priors of Lewes and St Augustine's, Canterbury, and the abbot of Battle. As it developed over the centuries, Bermondsey underwent some striking changes. 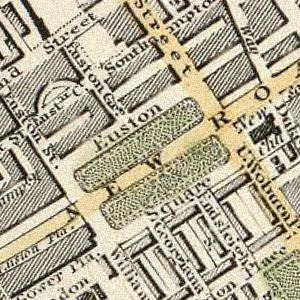 After the Great Fire of London, it was settled by the well-to-do and took on the character of a garden suburb especially along the lines of Grange Road, as Bermondsey Street became more urbanised. 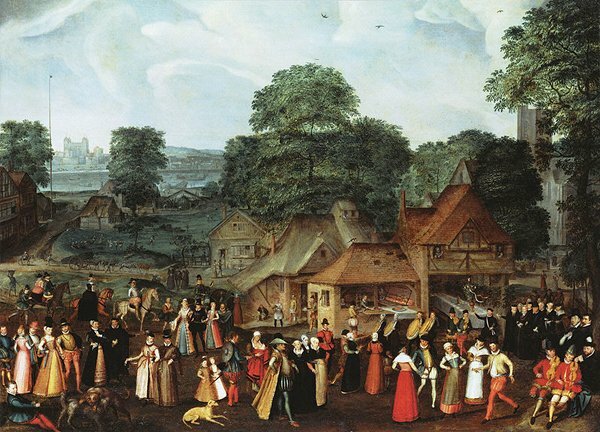 A pleasure garden was founded there in the 17th century, commemorated by the Cherry Garden Pier. Samuel Pepys visited 'Jamaica House' at Cherry Gardens in 1664 and recorded in his diary that he had left it "singing finely". Though not many buildings survive from this era, one notable exception is the church of St Mary Magdalen in Bermondsey Street, completed in 1690 (although a church has been recorded on this site from the 13th Century). This church came through both 19th-century redevelopment and The Blitz unscathed. It is not just an unusual survivor for Bermondsey; buildings of this era are relative rarities in Inner London in general. 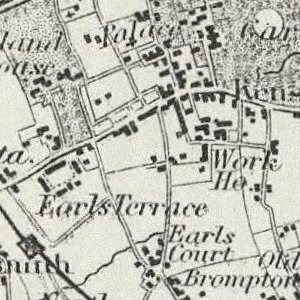 In the 18th century, the discovery of a spring from the river Neckinger in the area led to Bermondsey becoming a spa leisure resort, as the area between Grange and Jamaica Roads called Spa Road commemorates. It was from the Bermondsey riverside that the painter J.M.W. Turner executed his famous painting of The Fighting Temeraire Tugged to her Last Berth to be Broken Up (1839), depicting the veteran warship being towed to Rotherhithe to be scrapped. Bermondsey Town Hall was built on Spa Road in 1881. The area was extensively redeveloped during the 19th century and early 20th century with the expansion of the river trade and the arrival of the railways. 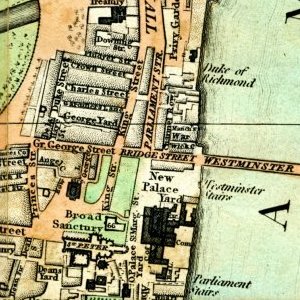 London's first passenger railway terminus was built by the London to Greenwich Railway in 1836 at London Bridge. 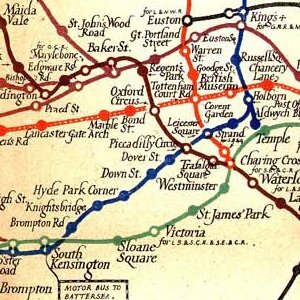 The first section to be used was between the Spa Road Station and Deptford High Street. This local station had closed by 1915. The industrial boom of the 19th century was an extension of Bermondsey's manufacturing role in earlier eras. As in the East End, industries that were deemed too noisome to be carried on within the narrow confines of the City of London had been located here — one such that came to dominate central Bermondsey, away from the riverfront, was the processing and trading of leather and hides. Many buildings from this era survive around Leathermarket Street including the huge Leather, Hide and Wool Exchange (now residential and small work spaces). Hepburn and Gale's tannery (disused as of early 2007) on Long Lane is also a substantial survivor of the leather trade. Peek, Frean and Co was established in 1857 at Dockhead, Bermondsey by James Peek and George Hender Frean. They moved to a larger plant in Clements Road in 1866, leading to the nickname 'Biscuit Town' for Bermondsey, where they continued baking until the brand was discontinued in 1989. Wee Willie Harris (usually credited as the first British rock and roll player) came from Bermondsey. He was known as Britain's Wild man of Rock N' Roll). He also worked in Peak Freans. 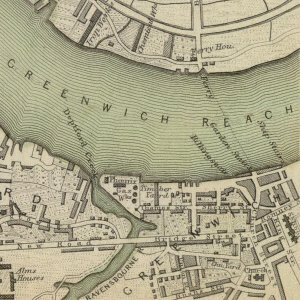 To the east of Tower Bridge, Bermondsey's 3½ miles of riverside were lined with warehouses and wharves, of which the best known is Butler's Wharf. They suffered severe damage in World War II bombing and became redundant in the 1960s following the collapse of the river trade. After standing derelict for some years, many of the wharves were redeveloped under the aegis of the London Docklands Development Corporation during the 1980s. They have now been converted into a mixture of residential and commercial accommodations and have become some of the most upmarket and expensive properties in London. In 1997, US President Bill Clinton and Prime Minister Tony Blair visited the area to dine at the Pont de la Tour restaurant at Butler's Wharf. Millwall F.C. 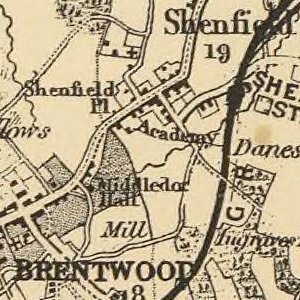 moved to a new stadium on Coldblow Lane in 1910, having previously played in Millwall, but have kept their original name despite playing at the opposite side of the River Thames to the Millwall area. They played at The Den until 1993, when they relocated to the New Den nearby. A public sports centre is also included in their stadium. Reorganisation of lines and closure of stations left Bermondsey's transport links with the rest of London poorer in the late twentieth century. 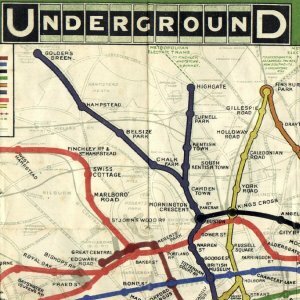 This was remedied in 2000 with the opening of Bermondsey tube station on the London Underground's Jubilee Line Extension and the rebranded East London Line forms part of the new London Overground system reopening direct links with the City and north London. Bermondsey tube station was designed by Ian Ritchie Architects and was originally intended to have a multi-storey office building sitting on top.